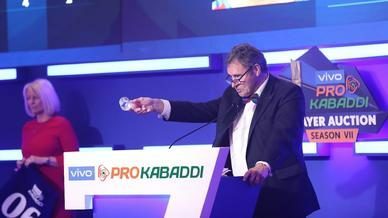 The penultimate leg of VIVO Pro Kabaddi Season 6 in Panchkula served up some of the most thrilling matches from this campaign and some unforgettable performances from the players. We take a look back at the five most defining moments from Jaipur Pink Panthers’ home leg. 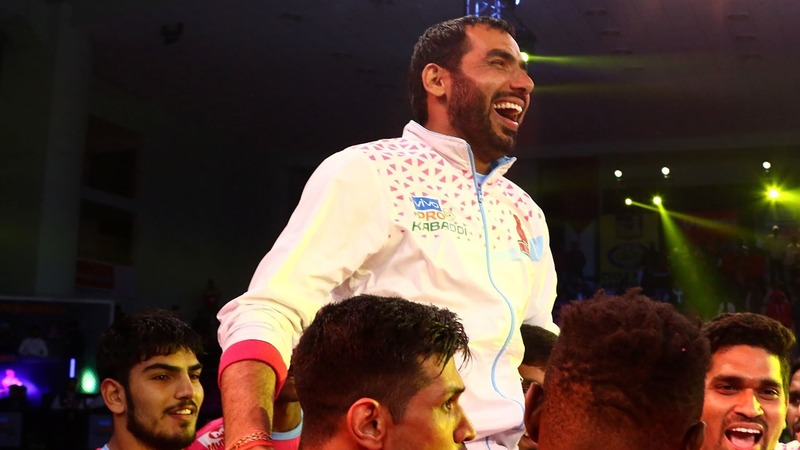 Jaipur Pink Panthers Season 6 captain Anup Kumar announced his retirement in an interview before his team’s match against Gujarat Fortunegiants, drawing curtains on one of the most successful careers in the history of the sport. 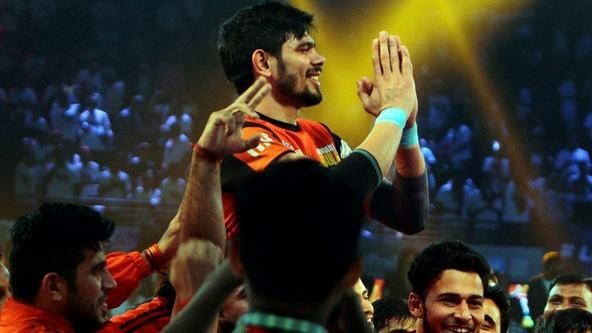 Kumar was the skipper of U Mumba for the first five seasons in VIVO Pro Kabaddi and led them to three finals, including their title-winning campaign in Season 2 as well as a Kabaddi World Cup and Asian Games winning Indian player. 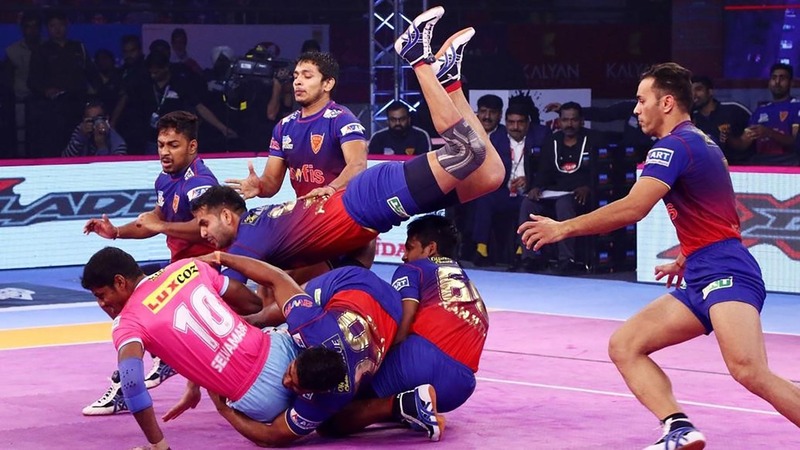 In the opening fixture of their home leg against Puneri Paltan, Jaipur Pink Panthers were hunting for a victory in order to keep their Playoffs hopes alive. 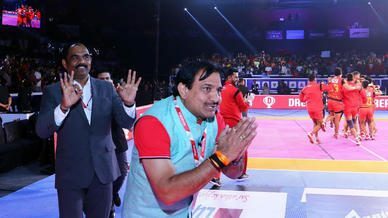 With the team needing a strong performance to anchor itself around, it was Sunil Siddhgavali who stepped up and scored eight tackle points in eight attempts on the night, leading the team in scoring and helping Jaipur Pink Panthers register a big win to kickoff their home leg. 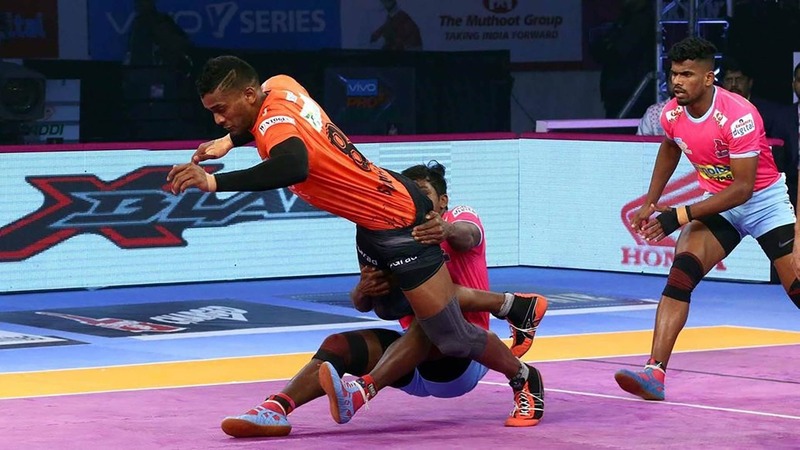 With just over three minutes left in the contest, U Mumba found themselves in a six-point hole and were staring at a defeat that would have dealt a major blow to their chances of finishing top of Zone A. 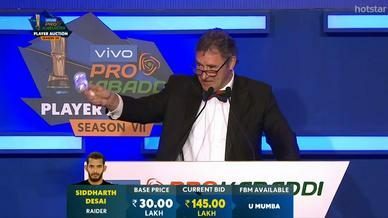 But, yet again, it was star raider Siddharth Desai who answered his team’s calling and scored raid points in four consecutive raids to help U Mumba inflict an All-Out. He followed it up with two more raid points to help U Mumba earn a tie and keep their hopes of topping Zone A alive. 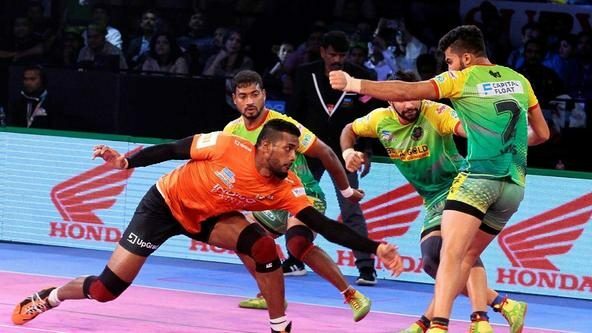 In the final minute of their match against Bengaluru Bulls, Patna Pirates trailed by three points and didn’t have captain Pardeep Narwal on the mat to add to his tally of six Super Raids to level the scores for his team. But Vikas Jaglan rose to the occasion and scored a two-point raid to bring the deficit down to just one and then followed it up with a tackle in defence on Pawan Kumar Sehrawat to level the scores and earn three points for his side. 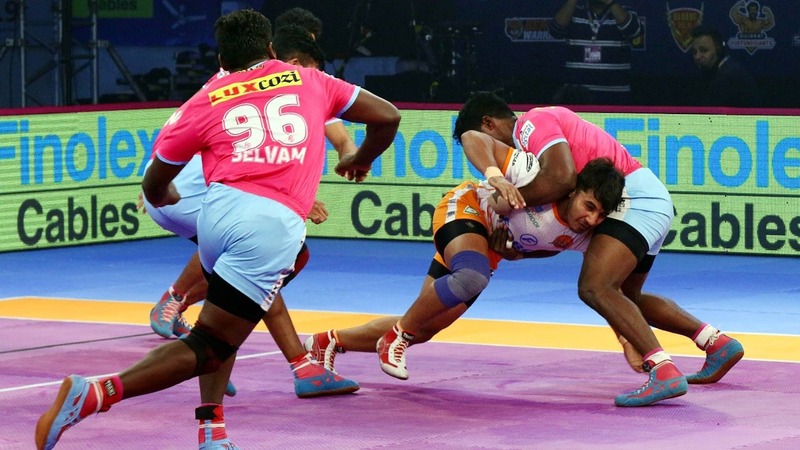 In their last home game of the season, Jaipur Pink Panthers found themselves 11-7 down against Dabang Delhi K.C. and, in an attempt to turn the tide of the contest, coach Srinivas Reddy summoned Selvamani K. to help the team in offence. The raider did not disappoint, as he managed a Super Raid in his very first raid attempt of the night and brought his team back into the contest. He eventually finished the night with 10 raid points and a tackle point to help Jaipur Pink Panthers salvage a tie, in what a solid outing for the raider from the bench.